New and old stock products for your vintage computers. This adapter is simply plugged into the mouse or joystick port and off you go. 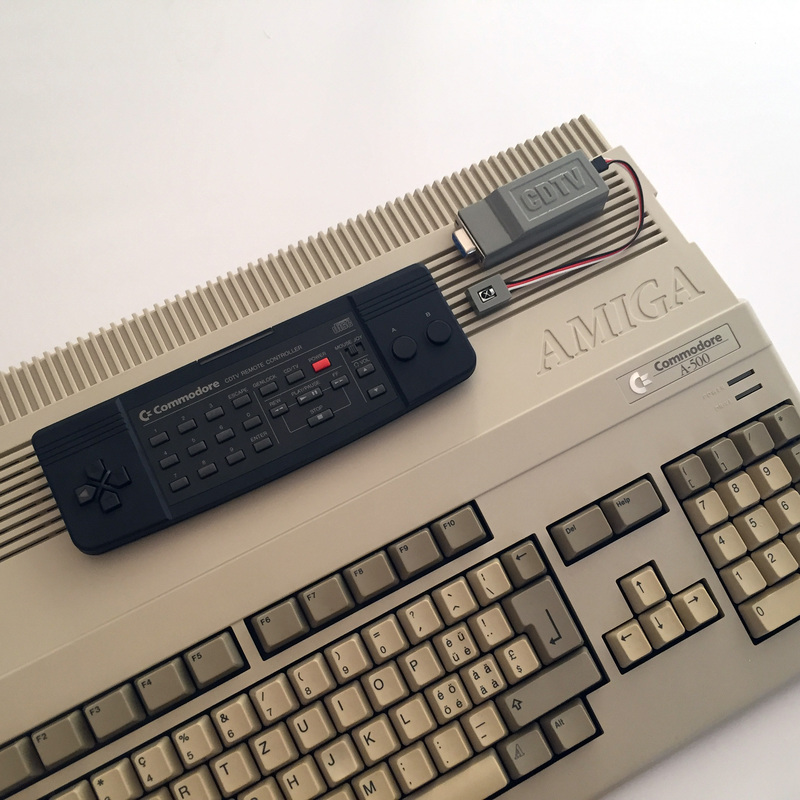 The power is drawn directly from your Amiga (approx. 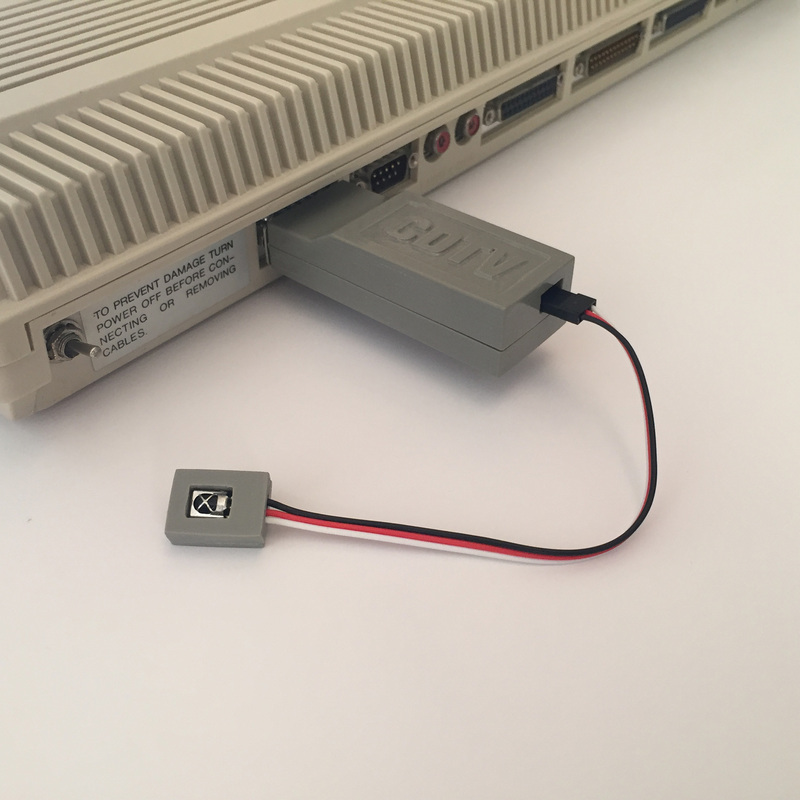 15mA, the joystick port delivers according to Commodore up to 100mA) and therefore no external power supply unit is needed. The functionality is equivalent to the conventional Amiga mice or joysticks. Use the slider on your CDTV infrared remote control to easily switch between mouse and joystick. The range has been successfully tested up to 8 meters. However, harsh daylight can lead to functional impairments, as daylight has a high infrared component. The CDTV remote control features a 60-80 ms delay between individual keystrokes. The adapter itself does not add any significant delay. This means that the 12-16 keystrokes per second can be transmitted. The original CDTV device works with the same intervals. 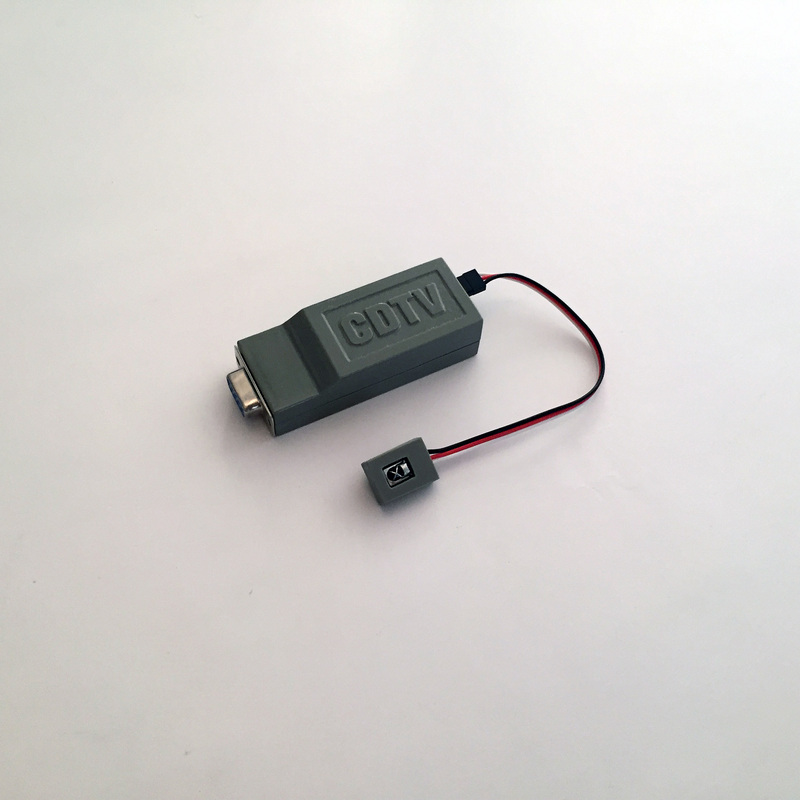 The following Youtube videos demonstrate the functionality of the CDTV infrared remote control adaptor. The distance between remote control and receiver is chosen near to show that a CDTV remote control was used. 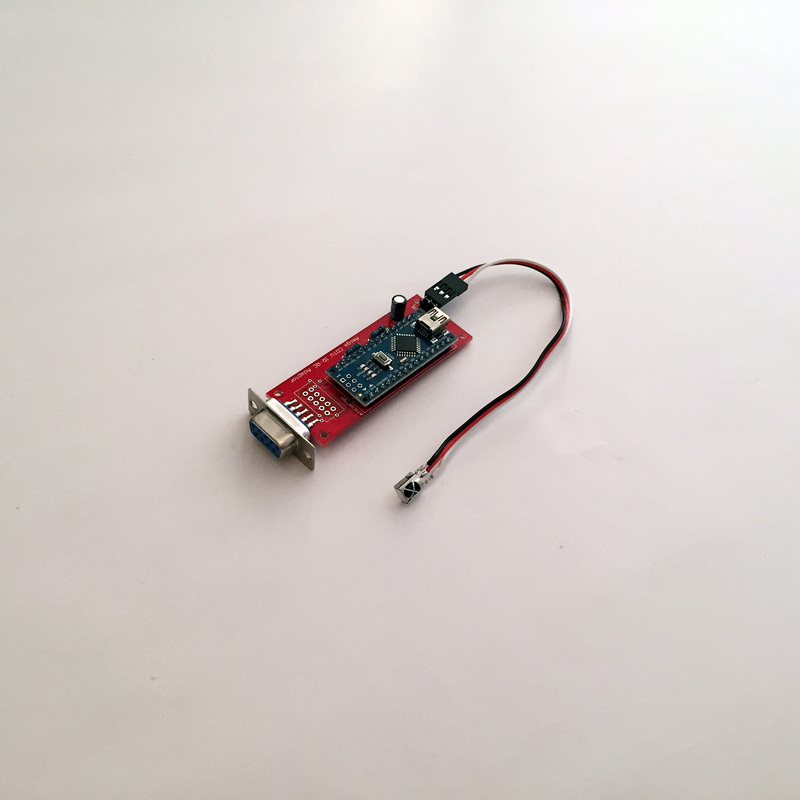 However, the range of the adaptor was successfully tested up to 8 meters. The mouse functionality is demonstrated in this Youtube video. The joystick functionality is demonstrated in this Youtube video. The housing is made of ABS material and is available in different colours. You can choose between white, beige, grey and black. Other colours can be considered on request. A600: Problematic for mechanical reasons, extension cable recommended.